He shall set me high upon a rock." 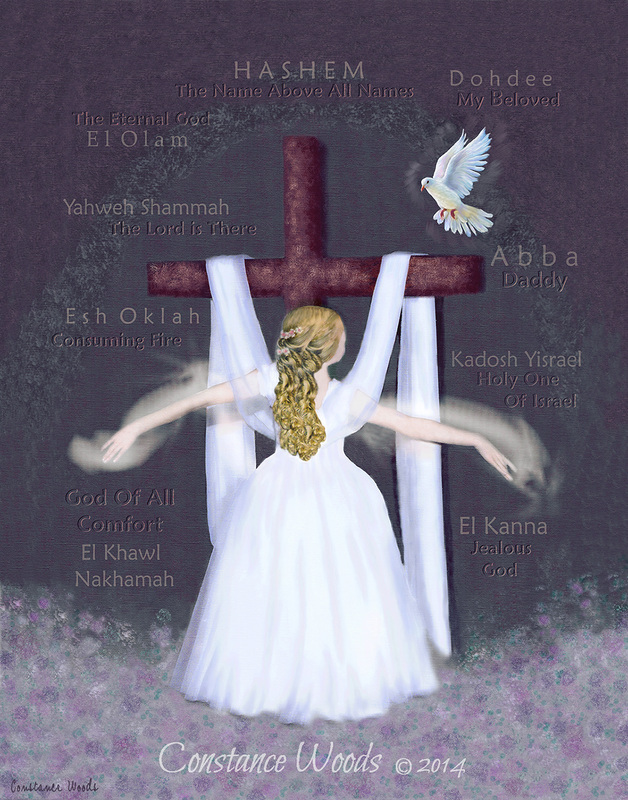 Revelation: We all come to this place sooner or later ~ the place of surrendering our all at the cross of Jesus Christ. In the background there are 9 names of God in Hebrew and English. This image has an anointing of God for inner healing. 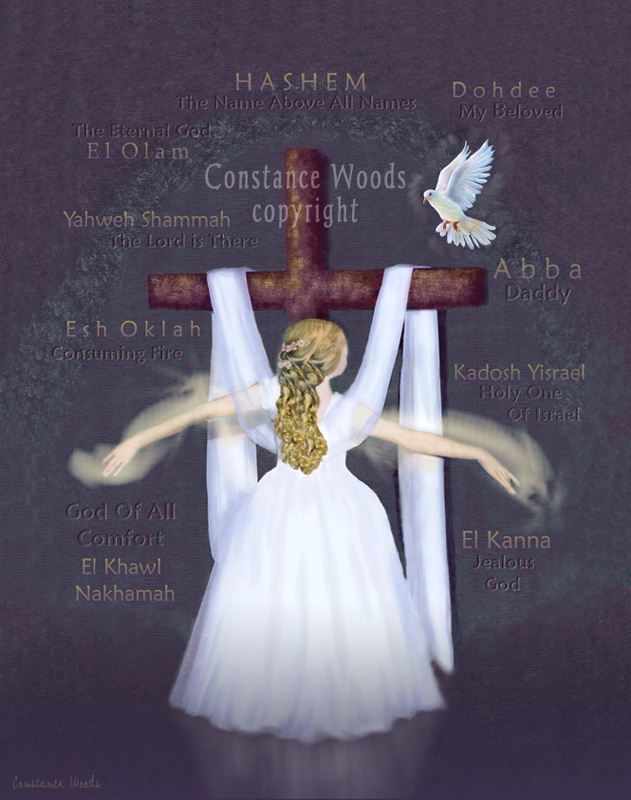 Inspiration: This image is my testimony artwork. After a lengthy season of personal trauma, the Lord drew me into a 2 year "deep resting in Him." During that time this image was birthed. The 9 names of God in the background are the specific aspects of His character that He revealed to me. ** Canvas are NOT framed. Please email order a Gallery Wrapped Canvas.